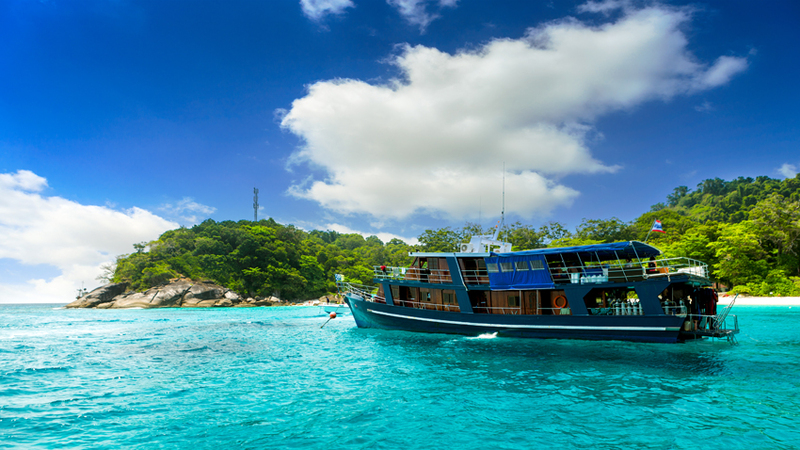 The Similan Islands Archipelago offers probably the best live aboards boats in Thailand. Therefore, it comes as no surprise that this is by far the best way to explore multiple islands and scuba diving spots. 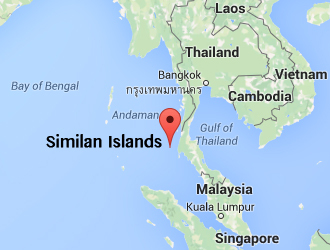 The Similan Islands liveaboards boats are famous in Thailand and the rest of the dive world. Liveaboard means you are living, eating, working, partying and relaxing on a boat that travels around in one area for example in the Andaman Sea around the Similans. Work is not actually work since you are just helping the sailboat to maintain its course by adjusting the sail or take over the rudder from the captain. We can recommend exploring the Similan Islands via a liveaboard trip, because you will enjoy the sea and adventure into the calm and beautiful waters of the Andaman Sea. Most Similan liveaboard trips are focused on scuba diving. So if you are a diving enthusiast a liveaboard boat is the best option to discover the Similan reefs and underwater plateaus. It is also possible to participate in PADI or Advanced Open Water scuba diving courses via these boat trips. 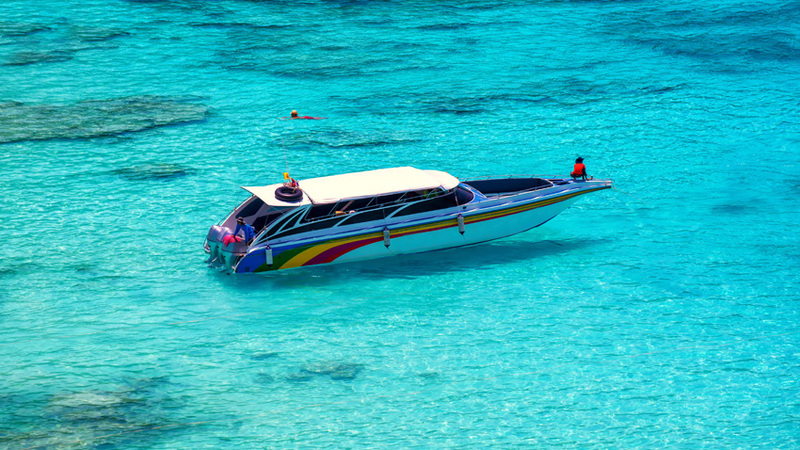 Yet, if you are searching for a PADI boat please be aware that most boats are for experienced divers and you should specifically ask for a beginner liveaboard boat while booking. The Similan Liveaboard dive trips are one of the diving highlights of Thailand since they travel fast between multiple top notch diving spots. Nevertheless, if you don’t like to scuba dive you can always take your snorkel gear and discover the reefs from the water surface. This way both divers and snorkelers have the best experience of their lives. The Similan National Park doesn’t offer any liveaboard boats or tours but we can recommend some services of local tour operators. These operators respect the National Park and help promote the sustainability of the reefs and waters surrounding it. We strongly recommend booking with one of these agencies as they are trusted and will ensure a fantastic experience without damaging our fragile nature biosphere. The best Similan liveaboard touroperators are Wicked Diving, Khao Lak Scuba Adventures, Sunrise Divers, Seadragon divecenter and West coast divers. Please notify us if one of these Similan liveaboard trips is violating the Mu Ko Similan National Park rules, as we keep high standards and don’t want to promote companies that harm our flora or fauna. Most liveaboard boats depart from the mainland harbors of Khao Lak (Thap Lapu), Patong (Phuket) or Ranong. You can book various diving trips online, we only recommend booking them in advance since the tours are very popular. If you don’t want to visit the Similan Archipelago via a liveaboard tour you can always book accommodation on the Island of Koh Similan, Koh Tachi or Koh Koh Meang. You can find more information about accommodation here. What can you expect on a liveaboard tour? How does a typical Similan liveaboard tour looks like? You will leave from the mainland of Thailand or Phuket Island with a reasonable sized boat (can be a sailboat) to visit multiple diving spots, islands and other landmarks n the Mu Ko Similan National Park of Thailand. Most liveaboard tours take up to 4-5 nights where you live, eat, work, and dive from the boat. You travel around and help the sailteam where necessary or not if you are lazy. You sleep in a cabin that fits your needs and are able to rent dive gear from the operators. Most operators already facilitate all these items in their package price, if you bring your own bargain down the price. Keep in mind that you will probably not be able to leave the boat for a few days! Some liveaboard trips will visit the Similan Islands others will only visit the reefs surrounding them. If you need medicine or have dietary needs please inform the company and take pre-cautions to ensure a safe and fun travel for everybody. We are sure that a trip while living on a boat through the Similan Islands is one of the stories you will tell for many years at home. But remember play it safe and keep it cool! Similan Islands liveaboard diving tours are ranked number #1 in Thailand! 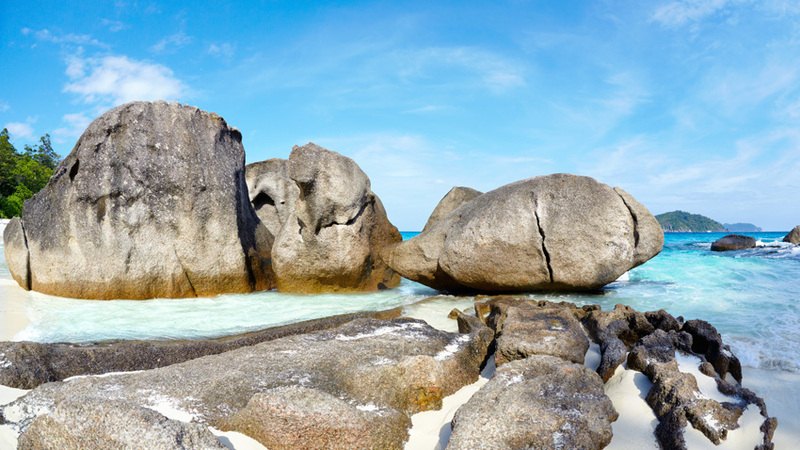 While the Similan liveaboard trips are the most famous in Thailand there are various other places in our beautiful country where you can book similar tours. In the Golf of Thailand many liveaboard boats operate on a daily basis visiting other beautiful reefs and islands. You can visit Koh Toa, Koh Phangan, Krabi, Koh Samui, Koh Lanta with liveaboard diving tours. Not sure which island you want to visit? Check out this page where we show you the best of Thailand’s islands.